2) to analyze the information critically. If you have been assigned to write a critical evaluation essay, it is better to plan your work according to your personal skills, abilities and knowledge. There are a few necessary steps involved in the writing process. The tips we offer below should guide you through critical evaluation writing process, but do not think that this is all you need. To know how to write a critical evaluation essay is a matter of experience. If you have been already given a topic, you’d better start clarifying it to yourself first. What terms, conceptions, and meanings can be found in the topic? The topic can vary depending on the field of study. If you need further elucidation, talk to your instructor. He/she will give you some clues as long as it is allowed. You have to gather some useful information on the topic. Since the topics of the critical evaluation essay are usually controversial, you can gather all information available from different points of view; for example, articles in newspapers, TV shows, personal interviews or even videos. Write down your personal thoughts during the process of research; some people are inspired during this process and are able to plan the draft within minutes. Be impartial; show both positive and negative sides of all conceptions you expose in the critical evaluation paper. It is better to mention the names of the adherents of the given theories and tell a little bit about their views. The critical evaluation essay will be of value only if it contains a good deal of references to reliable sources. Your essay needs to be formatted according to a given academic standard, which requires special formatting of the list of references (MLA, APA, Harvard style). Here you should keep the balance between impartiality and personal view. If you are “completely” impartial, the paper you are working on will turn out to be a simple report. On the other hand, if you put stress only on your personal view, then the element of critical evaluation will be dismissed significantly, thereby leading to emotional (and not rational) defense of the given thesis, instead of mature evaluation of facts. New facts will probably change an attitude towards the process/phenomenon in question. Always leave some room for doubt and criticism. People are fallible, so absolute knowledge is unachievable. Find the causes or the factors related to the given process or phenomenon and try to explain their function. Factors can be economic, social, psychological, cultural, political, etc. Try to be concise and clear, without unnecessary information or analyses. The transitions between various parts of the paper need to be plain and logical. Be careful with the language you are employing while writing a critical evaluation essay. A lot of essays are being written without any respect for language, even in aesthetic sense (i.e., such essays resemble rather a post on Facebook than an essay written by an educated person). Give it first to a colleague or friend. Afterwards, listen to their advice and improve the essay in a formal and substantial sense. Make it look “more logical” and clearer. Also check the internal logic and coherence of the paper; it should stay the same after the revision has been made. A critical evaluation essay is not that different from any other type of analytical essays, but it is focused on worthiness and value of a given theory, and is also able to explain a certain process, phenomenon or event. A critical evaluation essay is focused on worthiness and value of a given theory, and is also able to explain a certain process, phenomenon or event. 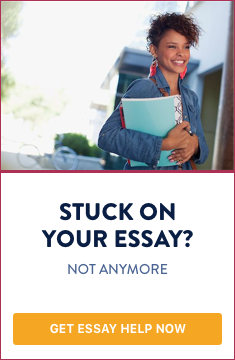 Do you need help with writing a critical evaluation essay?